For what seemed like a millennia, the prospect of an outing in Lahore was nothing short of a pickle. Moving from one store to another during an intense shopping expedition wasn’t for the fainthearted. Ending up stranded, with far too many bags, in the middle of a commercial block was a likely possibility. Packages Mall serves as the perfect remedy to my ailments. A weekly visit to Packages Mall has become a staple for me. I’m not big on shopping for clothes, bags or shoes. I shop in bulk twice a year, like every other oddball. But I quite enjoy roaming around Packages Mall alone on a lazy (hazy, crazy) day of summer. The cool air, and abundance of natural light through the glass windows encourage exploration. The white, gleaming corridor is mostly empty; I could skip across it without bumping into anyone. Let’s not delve into how I know this. Lahore has been changing a lot lately. Flyovers and underpasses are replacing pothole-ridden, traffic-jammed roads. It is now easier for people to commute to ‘distant areas’ within a matter of minutes. But to what end? This development is meaningless if it doesn’t allow for more activities for these commuters. Right on cue, Packages Limited began building a mega-mall on one of their factory sites from scratch. 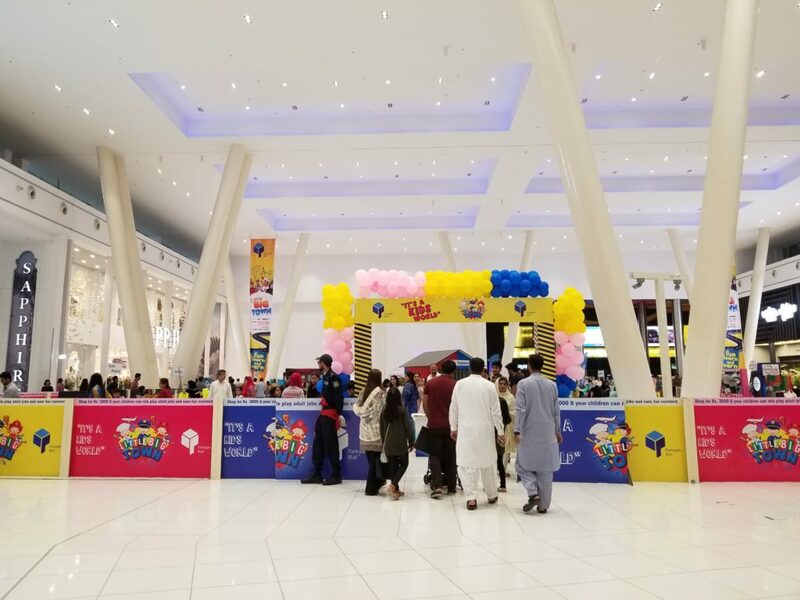 In the summer of 2017, the mall was opened to the public. Today, it is a frequented spot for those looking to have a good time. Little Big Town at Packages Mall brings all the kids (and adults) to the yard. I have a disdain for crowded places; I really don’t like visiting commercial areas during sale season. Before you go ahead and call me a brat, remember: I shop very little. Sapphire gets a bad rap when it comes to sales. But I ended up at the mall at the peak of sale season and was able to stop over at the cinema without any hurdle. If I had any qualms about visiting Packages during sale season, they ended with this visit. 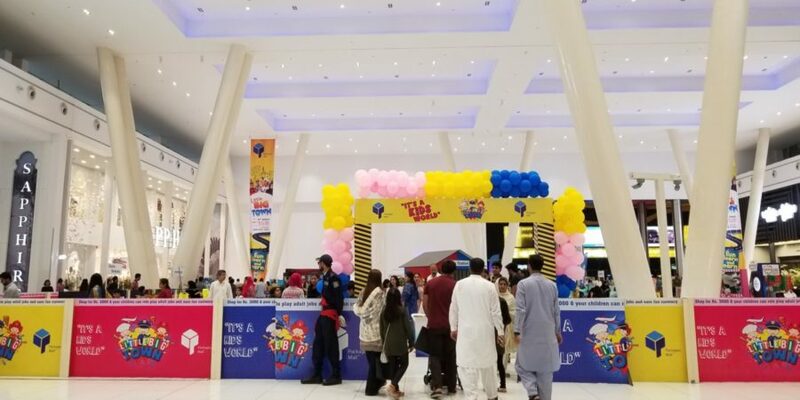 Packages Mall manages to steer clear of those looking to marathon on escalators and elevators. This is surprising, considering how malls tend to be open to the public. Sure, it’s jam packed in the evenings, particularly on weekends, but the people here have an end goal. They want to sit in the food court, attend a meeting, catch up on their summer shopping or buy last-minute presents for Mom and Dad. The choice of entry gate is crucial. It determines my trajectory in the mall. For example, I usually go for Gate 6, which leads me to donuts, and then books. Sure, I’ll end up at the bookstore eventually (I’m such a nerd), but my whereabouts prior to that will vary. For example, I once entered through Gate 3. It took some getting used to: escalators were replaced by an electronic ramp and there were far more stores here than at Gate 6. All-in-all I was happy to see the extensive thought that went into the layout of Packages Mall. The signboards told me that moving up the ramp would lead me to Hyperstar. I made some mental notes about shampoos and olive oil that needed stocking up. Meanwhile, to my left was Mussawir Art Gallery, which was rather full. Apparently I had come across it mid-exhibition. Quite successfully, Packages Mall has kept entertainment at the forefront without compromising on quality. For every photo op with a parrot, you have a caricaturist drawing 20-minute portraits for the people surrounding him. Cinepaxand Bose’s showroom are within a short walk of one another. While you could shop for homeware at Hyperstar, you could find a greater variety at Habitt instead. The food court exists side-by-side with quiet, peaceful cafes such as Mocca and New York Coffee. There’s a punkish ethic to this that is impressive. The status quo is being catered to, and then being opened up to newer prospects simultaneously. Every other visit to the mall, I pick up a printed directory from their reception desk, depending on how well thought out my agenda for the day is. A brief walk brings me across Super Space’s skating rink; I could elaborate on how unbelievably joyous it is, but I saved that for our Mom’s list. A short flight of (moving) stairs brings me across a Pepsi Battle of the Bands concert. At another five minutes’ walk lies a bustling indoor summer camp, Little Big Town. If I were six, a happy camper or diehard fan of Battle of the Bands, I could easily get hung up here. But I am none of these, so I opt for a quick stopover at Gustoso followed by an extensive sit-down at Liberty Books. Before I know it, four hours have passed. On my way out, I make it a point to stop by PopNosh and pick up a little something for later. And for the whole family. It’s only when I’m leaving the mall that I realize I have a family. Malls don’t just give people an opportunity to shop in one destination; they also allow them interact with others. 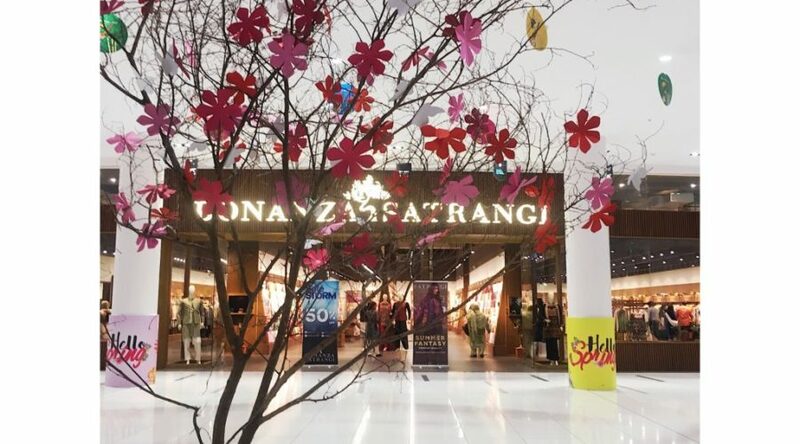 If you’re more of a Satrangi person, and someone else is a Mantra girl all the way, they can share one space, and yet going about their separate business. 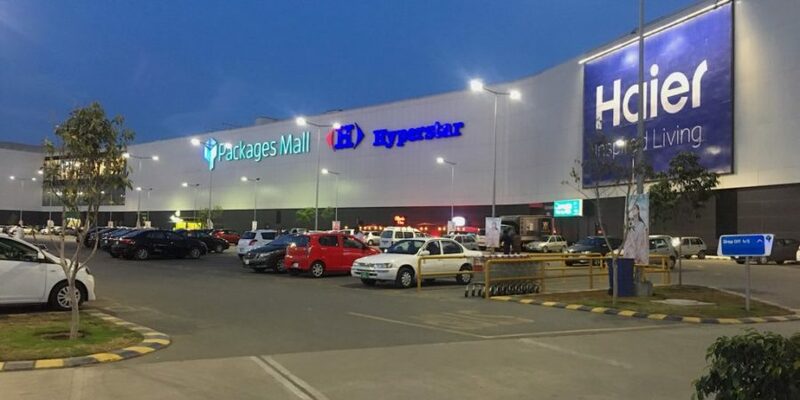 Similarly, Packages Mall, through its spacious, well-planned outlook serves as an apt community center. Families, friends and loners (MY PEOPLE) all collect under one roof on a regular basis. There’s something wonderful about that. As I stand outside Packages Mall, trying to remember where I parked my car (everytime, Urooj. WHY, Urooj??? ), my experience of the past few hours is put into perspective. From my vantage point, I see advertisements of various stores and restaurants off in the distance, plastered across the walls. Beyond it, the sky in hues of pink and blue, provides a picturesque backdrop to the reds, greens and blues of the fence-like boundary. For this brief moment in time, I am unaffected by the rumbling din of Ferozepur Road. The city is a distant reality.